There is intense interest among therapeutic protein researchers about factors which impact protein aggregation and stability. Aggregation of therapeutic proteins can render them biologically inactive or even induce an immunological response in patients. One of the well-known factors that can induce aggregation is stirring of samples. ARGEN provides the capability to directly probe contact stirring (i.e. magnetic stir bar) induced aggregation. However, contact stirring is only one type of mechanical or physical stress that can occur during the production, purification and packaging of therapeutic proteins. Overhead stirring, capillary shear stress, filtration, peristaltic recirculation, etc. can all impact protein stability and induce aggregation. Since many or all of the listed mechanical and physical stressors can be present during therapeutic protein production, it is critically important to assess the impact of each stressor in a quantitative way. So how does ARGEN provide the capability to examine other stressors besides contact stirring? Since ARGEN has 16 individual sample cells with fixed optical pathways that can all be operated independently, researchers can easily tailor experiments to match the conditions they wish to examine. With some basic laboratory equipment such as small peristaltic pumps, syringe pumps, tubing and filters, it is a simple matter to construct systems capable of probing the desired stressors using ARGEN. Direct titration in real time with salts, excipients, acids/bases, denaturation agents, etc. Figure 1 shows the difference in aggregation rates (slope of Mw/Mo) between contact magnetic stirring and overhead non-contact stirring via stepper motor. 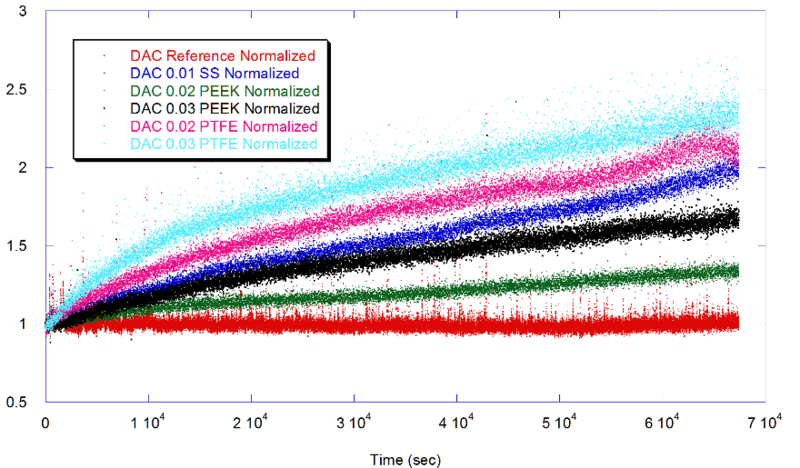 Figure 1 clearly shows that changing the type of stirring stress applied to this sample of monoclonal antibody yields very different aggregation rates and profiles. 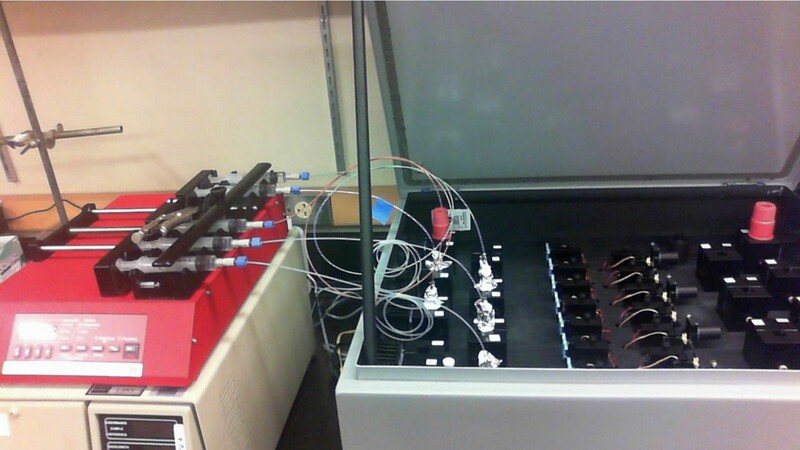 Figure 2 is an experimental setup of a continuous shear experiment utilizing a syringe pump programmed to continuously alternate between inject and withdraw cycles at 1 ml/min to pass samples through capillaries and into sample cuvettes. An ARGEN prototype is depicted on the right in Figure 2. 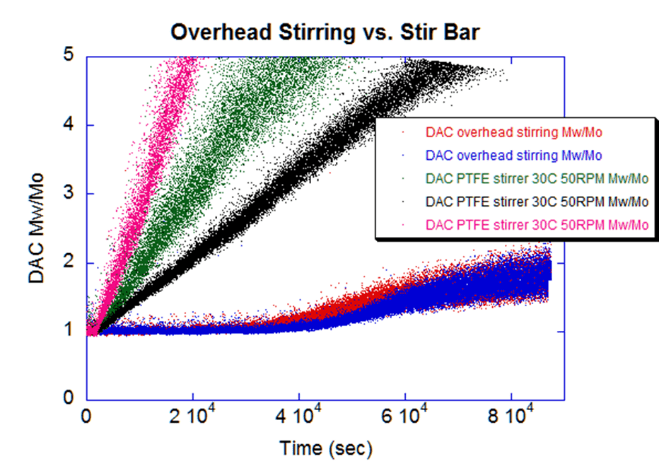 Figure 3 shows the differences in aggregation rates observed during capillary shear stress of a monoclonal antibody. A mAb was continuously sheared through differing tubing diameters and materials at a flow rate of 1 ml/min via reciprocating syringe pump. Figure 4: Aggregation induced by continuous peristaltic pump recirculation for two different therapeutic proteins. Figure 5 shows the use of a syringe filter place in inline during a peristaltic recirculation experiment (note, this data was acquired from a free standing 90° scattering cell but can also be obtained via ARGEN). 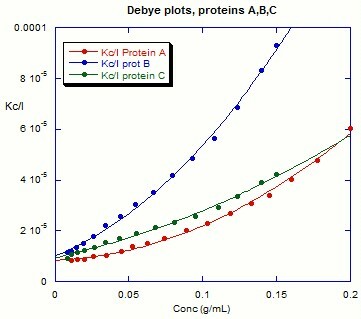 Figure 6 shows Debye plots generated by direct titration of three different protein samples in an ARGEN instrument.